Hoy estaremos contando de nuestro modelo de economía circular y triple impacto en el Dif de Ellen Mc Arthur Foundation. This session is part of DIF x CE100 Startup Day. A day devoted to showcasing startups and their role in disrupting the market and enabling a shift towards a circular economy. Running a factory with the goal of achieving the triple bottom line, Daravi generates products from discards and empowers women from the community by teaching production processes and creating new job opportunities. 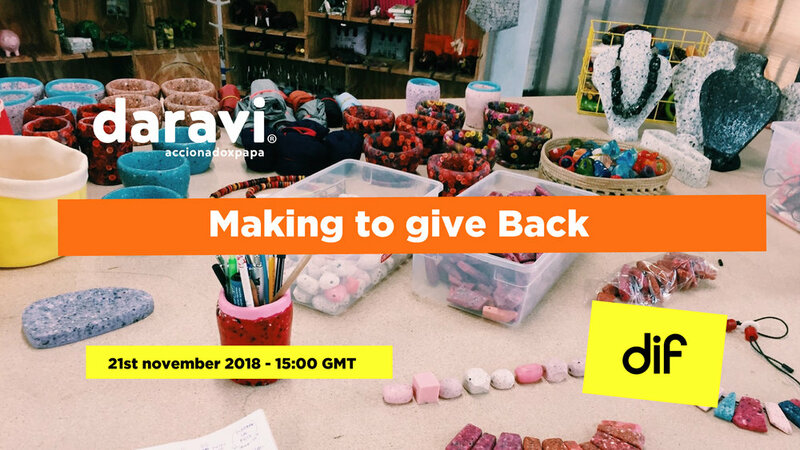 A certified B-Corp, this session will showcase the project, share the story of an entrepreneurial journey that started in 2009 inside a button factory and has led Daravi towards a scalable approach driving social impact. Find out more about Daravi's design process and how it became a successful business operation within just 18 months.